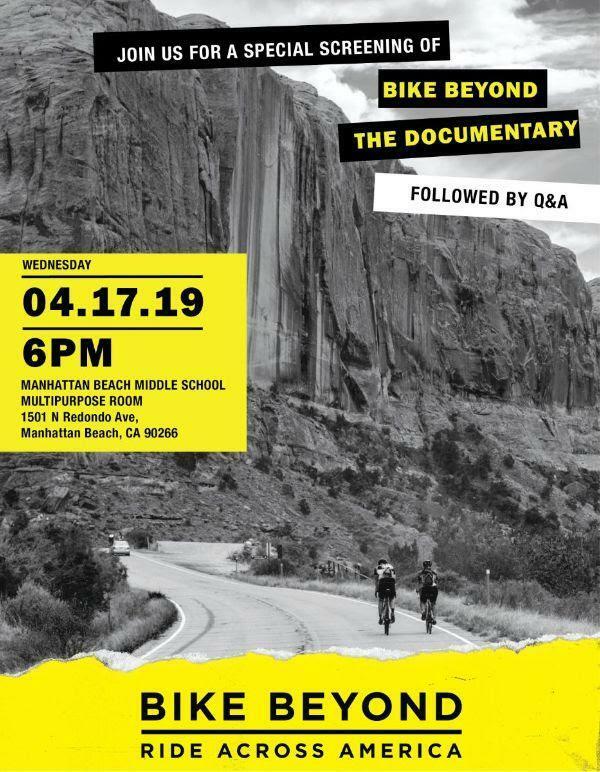 Please join us on April 17th from 6-8PM in the MPR for a special screening of Bike Beyond: The Documentary followed by a Q&A with local Type 1 Diabetics, including current and former MBMS students, parents and a local pediatric endocrinologist. Bike Beyond: The Documentary follows an international team of 20 amateur cyclists living with Type 1 Diabetes on their epic 4200 mile, 10-week adventure, pedaling across America. Light snacks and refreshments will be provided. This is a free event open to anyone interested in a truly moving film with beautiful video footage from across the country. Come show your kids what resilience looks like, learn what Type 1 Diabetes is like, help us celebrate the resilience and strength of those living with Type 1 Diabetes and see why people with Type 1 Diabetes are tough as nails. Sign up here, and be sure to watch the movie trailer!